Some of our children took part in a competition for Healthwatch called the ‘Running Pencil’ completion. 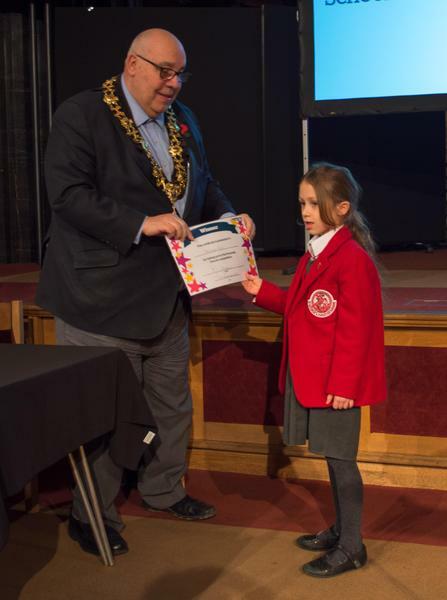 One of our Y3 pupils, Penelope, won this competition and got invited to their Annual General Meeting where the Mayor of Fulham and Chelsea presented her with her certificate. Well done Penelope!